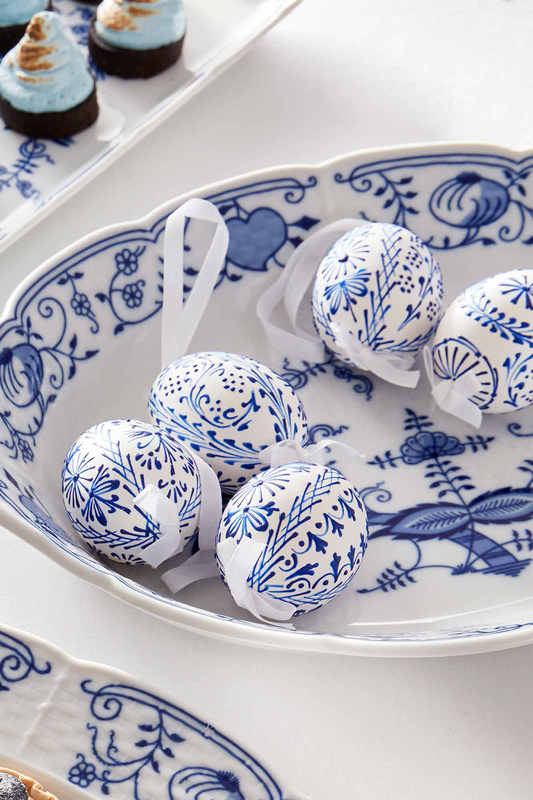 For a beautifully unique and exquisitely detailed addition to your home, our Vesna Blue and White Eggs are named after the Slavic goddess who lives in the hill tops and comes down into the valleys in Spring to scatter flowers bringing in the new season. Each egg is hollowed out and hand painted using wax embroidery paint, decorated using traditional techniques by local artisans. 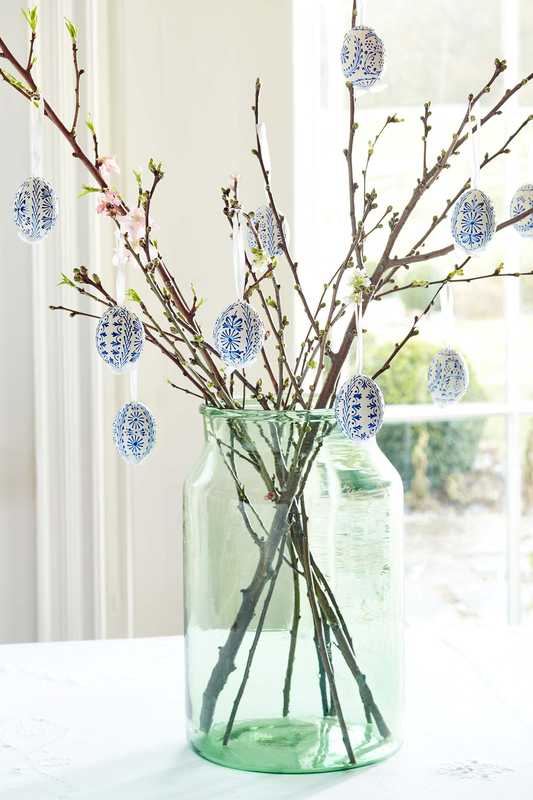 Display in a favourite bowl or glass vase for a fabulous centre piece, alternately hang from spring branches for a joyful Easter display. Care: This product is very fragile, handle with care and store in protective box when not in use. Dust gently with a soft dry cloth. This product comes in a charming egg box with Sophie's signature branding. 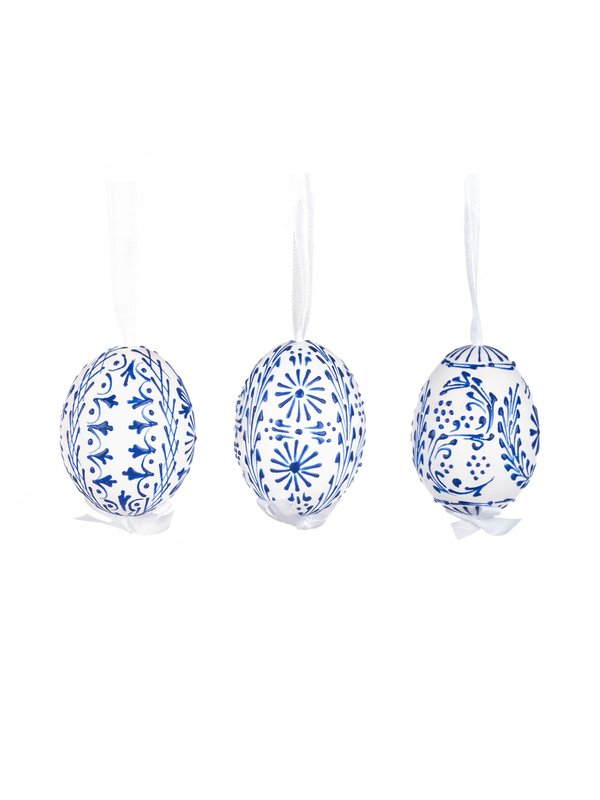 Please Note: Each egg is handmade and hand painted, using traditional techniques by local artisans.